Not sure you want to take the 'big leap' into lessons? 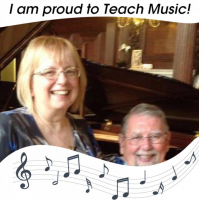 If you want to try music lessons but are not sure what to expect, why not contact Maggie now to meet at the Studio and chat about where you want to go for your musical journey. You have nothing to lose (after all, this is a free consultation). So don't delay, contact Maggie today!